Order of St George 2018 Gold Cup Winner? When you look back on the 2017 Royal Ascot meeting there are certainly a few hard luck stories such as the 2nd of the ill-fated Santry. However on the same Ladies day card it was agonisingly close for favourite backers in the Gold Cup as Big Orange held of the strong challenge of the Aiden O’Brien trained Order of St George. Many people felt that Ryan possibly could have ridden a better race and im sure he will agree that Big Orange got first run on his mount as well as having an uncontested lead throughout. So can the horse go one better and land the race for the second time in his career? There is no doubt that Order of St George has firmly established himself as the current top stayer in training in recent times with victories in the Irish St Leger and more recently in the British Champions Long distance cup. 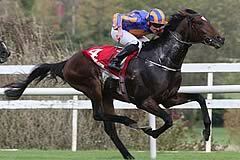 His most recent victory in the Irish St Leger was breath taking as he powered clear to win by 9 lengths easily. It looked at the time as if the opposition was fairly poor but with Wicklow Brave and the recent Sagaro Stakes victor Torcedor well beaten you can see this was not the case. This was the second time the horse had shown similar form in the race having ran away with the 2015 edition by 11 lengths. You only have to go back to June of 2016 when he put in a stunning staying performance having looked to be struggling 5 furlongs out and jostling for room only to switch wide and take off. He made up ground so easily before drawing clear inside the final furlong from the gallant Mizzou and David Simcock trained Sheikhzayedroad. The key attribute of the horse is clearly his staying power as he is always at his strongest nearer the latter end of his races so the fact he has been able to place in the last two runnings of the Arc just shows how tough he is. This was firstly a 3rd place finish and just a 3 and a ¼ length defeat to stablemate Found. This was then followed by a 5 and a ¼ length defeat to star filly Enable in last year’s race. Order of St George returned just a few weeks ago in an extremely weak looking Vintage Crop Stakes at Navan but having looked in trouble, asserted well in the closing stages to win comfortably. This was a firm indication that the horse is still in love with the game and having lost previously on his come back run he seems to be in fine fettle ahead of the current campaign. There is no doubt O’Brien will have him primed again for the occasion so he is without a doubt the one to beat going in. You can bet on Royal Ascot now and he is currently sitting as the 11/4 market leader. The horse has shown he acts on all ground so there will be no excuses on that front were he to be defeated again. Sired by the great Galileo the horse is bred in the purple by top connections but they could never have envisaged the career he would have had. With prize money only just shy of £2 million he will go down as one of the stars to have come from the famous stable of O’Brien likened to the recently retired Highland Reel. So whether he is victorious or not there is no doubt he will run his race with other key fixtures ahead for the current campaign.